Fishermen everywhere see the need for aquatic vegetation. It provides food for fish, improves water quality of fisheries and it provides cover for bass fingerlings to hide from their prey, allowing them to grow into trophy-size adults. However, most anglers and water conservationists in our state agree that aquatic weeds, particularly Hydrilla, need to be controlled. The method used for their control is the source of a great debate in Texas. Chemical companies and government agencies have influenced the Texas River Authority and the Texas Parks and Wildlife Department to mandate the pouring of thousands of gallons a year of toxic chemicals into our lakes and rivers, some of which provide public drinking water. Others want to control the aquatic vegetation through total eradication. One popular method involves the use of â€œgrass carp.â€ Grass carp have been described as â€œthe least acceptable method of non-chemical control.â€ The grass carp is a fish that was introduced into Lake Conroe in Conroe, Texas, to eat the unwanted aquatic vegetation. The result was they ate ALL the vegetation, leaving the lake unhealthy and unsuited for the survival of fish. The lake is now undergoing a lengthy process of reintroducing â€œgoodâ€ aquatic vegetation in the hope that the fish will return to the lake. S.M.A.R.T. is a non-profit organization formed by Texas anglers, conservationists and industry leaders to protect and improve our fisheries. Their name stands for Smart Management of Aquatic Resources Team The founders of S.M.A.R.T. hope to educate government agencies and the news media to the hazards of chemical treatment and total eradication in the control of unwanted aquatic vegetation. The organization also hopes to teach the future facilitators of our freshwater resources the perils of chemical control. With the help of TV personality and renowned cinematographer, Glenn Lau, they have developed an educational do*****entary on aquatic herbicides. 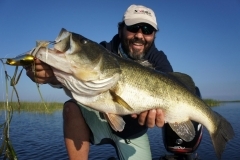 Lau is the creator of the award-winning epic, â€œBig Mouth Forever,â€ which is a do*****entary on the life-cycle of the largemouth bass and sequel to the first film Lau produced in 1973 called â€œBig Mouth.â€ Lau is also host of his own TNN television show, Quest for Adventure. The do*****entary will focus on the environmental impact of aquatic herbicides and other aquatic management techniques on lakes and other water reservoirs nationwide. It is the objective of S.M.A.R.T. to promote the film to secondary schools in Texas. They hope that schools will develop a curriculum around the lessons presented in the film to teach young outdoorsmen about the place of aquatic management today in the future of our water reservoirs. S.M.A.R.T. management programs use several means for the control of unwanted vegetation. One method they sanction is another non-chemical control device, the â€œmechanical harvester.â€ This machine reportedly can cut one acre of Hydrilla per hour to a depth of five to six feet. The machines have a cutting width of up to 10 feet and weigh up to 14,000 lbs. The harvester cuts the vegetation, squeezes the water from it, shreds it, then puts the shredded vegetation back in the water. The harvester does not hurt the fish population either, according to the Department of Natural Resources in Minnesota, where the harvester has been used for years. 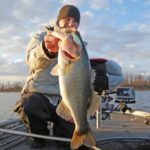 In fact, lakes in the north central U.S. say they have enhanced aquatic life in their lakes and the water remains clear and clean, and most report enhanced game fish populations. Mr. D. Heise of LaPorte, Tennessee, says, â€œThe quality of fishing has improved [on City Lake since we started using the harvester], and the fishing areas are more accessible now.â€ One of S.M.A.R.T.â€™s short-term goals is to raise enough money through contributions and fund-raisers to purchase a harvester for the TPWD, and they in turn will implement mechanical management of aquatic vegetation as the stateâ€™s method of control. To date they have raised $65,000, or 60% of the funds they will need to purchase the necessary equipment. The next fundraising event is scheduled for June 19th in Arlington, Texas, at the Arlington Convention Center. 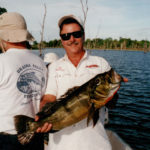 It will be called â€œAn Evening with Ray Scott,â€ and Ray Scott, the founder of B.A.S.S., will be on hand along with several other celebrities of the fishing industry. This is the second fund-raiser Scott has sponsored, his first being in Houston at the Hotel Sofitel Greenspoint on August 14, 1998. 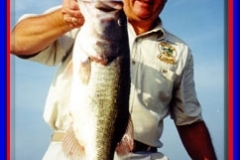 Scottâ€™s guest speakers in Houston were such pioneers of the bass fishing industry as Roland Martin, a legendary angler and TV superstar, Bob Cobb, the 30-year pioneer with B.A.S.S. Bassmasters Magazine and Bassmasters TV, Glen Lau, renowned cinematographer and TV personality and Earl Bentz, founder of Triton Boats and 30-year innovator and pioneer in the quality and performance of bass boats. Martin, Cobb, Lau and Bentz will also appear at the Arlington event. Dinner and drinks will be provided and both a live and silent auction will be held. 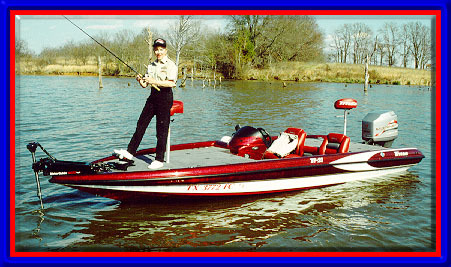 The auction will feature a 1999 Triton Bass Boat and a Mercury Outboard. A 1999 Chevy Suburban will be raffled off to one lucky guest, and only 100 raffle tickets will be sold at $100 each, so guests will have a one in 600 chance of winning the vehicle, valued at $36,000. This event is open to the public and admission is free. Dinner tickets will be sold at the door for $15 each. A special treat at this fund-raiser will be the premiere of the new Glenn Lau film. The long-term goal of S.M.A.R.T. is to establish similar water conservation organizations in other states so their efforts will become nationwide. They also want to ally themselves nationally with other fishing organizations, bass clubs and water conservation groups. If you would be interested in helping to organize chapters in other states, please contact S.M.A.R.T. at (713) 648-6152 or toll-free at (888) 588-8228. The Board of Directors of S.M.A.R.T. include President David Stewart, Vice President Ed Parten, Treasurer Lindy Ellason, Secretary Bill Bales, Asst. Secretary-Treasurer Pat McCarty, Sergeant at Arms John Alexander, Parliamentarian Jerry Gold, and three Board Members-at-Large, Mike Woehst with a 3-year term, Mike Hastings with a 2-year term, and Randy Kindler with a 1-year term. The Members of the Board are all giants in the bass-fishing industry. They include, Ray Scott, Earl Bentz, Ray Murski, a fishing industry leader, Harold Sharp, a past B.A.S.S. tournament director, Jerry Dean, editor/publisher of Honey Hole Magazine, Duane â€œSparkyâ€ Anderson of Clean Water Action, Johnnie Davis of Anglers Choice, Terry Oldham of Oldham Lures, Jack Allen, President of Southeast Texas Oilmenâ€™s Bass Classic, Neil Carman of the Sierra Club of Texas, Ed Churchman and Bruce Shuler of T.A.B.C., Bruce Goss, Bob Hood , a sportswriter for the â€œFort Worth Star Telegram,â€ Sue Pittman of the Chemical Connection, Robin Richardson of H.A.W.K., Bob Sealy of â€œSealy Outdoors,â€ and Ron Werner of April Plaza Marine in Conroe, Texas.. The list of S.M.A.R.T. Member Organizations reads like a list of all of Texasâ€™ fishing groups. 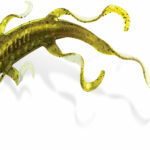 It includes Anglers Choice, Inc., B.A.I.T. (Better Aquatics in Texas), Bastrop Environmental Association, Catfish and Crappie Association, the Central Texas Association of Bass Clubs, Clean Water Action, Consumers Union, H.A.W.K. (Health Awareness and Water Knowledge), the Henry, Lowerre, Johnson, Boss & Frederick Law Firm, F.I.S.H. 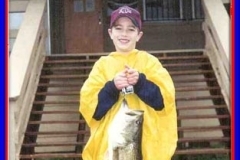 (Fishermen Involved in Saving Habitat), Honey Hole Magazine, L.C.M.A. 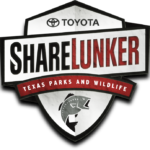 (Lake Conroe Marina Association), the Lone Star Chapter of the Sierra Clubs of Texas, Metro Leagues of Bass Clubs, Pro Team Tournament Trail, Inc., Rayburn Bass Classic, S.C.O.T. 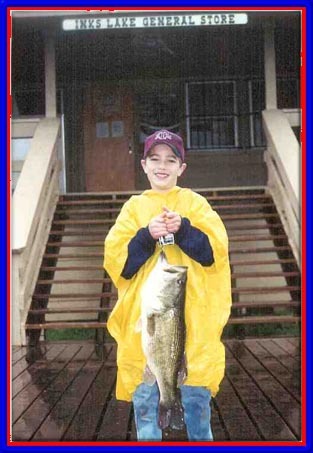 (Sportsmen Conservationists of Texas), Sealy Outdoors, Southeast Texas Oilmenâ€™s Bass Classic, T.A.B.C. 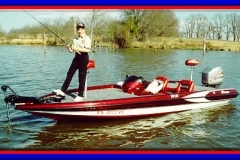 (Texas Association of Bass Clubs), T.B.B.U. 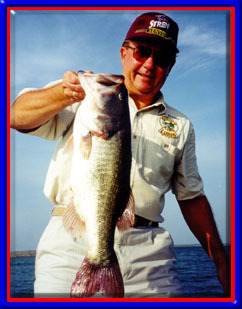 (Texas Black Bass Unlimited), Texas B.A.S.S. Federation, Texas Center for Policy Studies, The Chemical Connection, Texas Oilmenâ€™s Bass Invitational and the Texas Sportsguide.